Crystals, gemstones, and minerals can be cleansed by several easy methods. Use your awareness to guide you in selecting the depth, method, and duration of cleansing. Combine and repeat techniques until you’re satisfied. If your crystal is a devic temple or fairy crystal, you may wish to consult with the beings in the crystal first and together select the cleansing technique. Water: Crystal, glass or non-metallic bowl, water, and non-iodized sea salt (approximately 1-2 tablespoons of salt per gallon of water, dissolved). Soak your crystals in solution for 24-48 hours. You may use tap water. Water from natural sources is excellent for crystal cleansing. If you have rain water, or water from a spring, stream, or sacred source, you can add these to the solution or use in place of tap water. Sunlight and moonlight are beneficial in combination with this method. When the water becomes dingy or murky, check to see if your stones are cleansed. This is often the case. If not, create a fresh solution and continue to bathe your stone. If the stones you are cleansing are water soluble, rinse your stones in running water! Salt: Lay crystals on a bed of rock salt or pack the crystals in rock salt to purify the crystal’s energetic matrix for 24-48 hours. This is a convenient technique to use for personal crystals worn as jewelry and for boji stones. Check your crystals frequently when using this method to make sure they like it. If they don’t, remove them immediately! Sand or Soil: Bury your crystals in sand, garden soil, natural loam, or clay. It is preferable to bury your crystals in the Earth, so that they have the opportunity to feels the Earth’s resonance. This method is slow and gentle. Duration ranges from 24 hours to several days or even months. Obviously the longer the crystal is buried, the deeper the cleanse. Protect your crystals from weathering when using this method. Thorough cleansing: These methods are ideal for any crystal used in transformational healing work and responsible for managing sacred space. Light cleansing: These methods are suitable for “tidying-up” companion crystals, crystals used in meditation, and personal crystals worn as jewelry or carried in pockets. Running Water: Crystals love running water. Hold your crystal under the tap and allow cold water to flow over it. As you do so, visualize all dark and dense energies dissolving and washing away. If you’re at a beach or near a stream, allow the water to flow over your stones. Then air-dry them naturally in gentle sunlight. Keep a firm grip on your crystals during this process and don’t leave them where they can be swept away by the tide! Smudge: The smoke of sacred herbs such as sage, cedar, and lavender may be used to cleanse the lattice and energy field of crystals. This is an excellent process before and after ceremony. Breath: With your crystal held in your hands, begin by breathing slowly and centering yourself. Focus on your crystal, take a long slow breath, and pause while focusing. Raise your crystal and exhale with a burst, visualizing and feeling static and ambient energies spontaneously releasing from the crystal’s light matrix. Repeat until you are satisfied (or light-headed ;-). Energy: There are several methods for channeling energy to cleanse the energy field of your stones. Begin by centering yourself, breathing deeply, and relaxing. Hold your crystal in both hands and visualize the flow of energy. Draw the energy from the Universe (or from your favorite vertical Source). Visualize beams of light energy streaming towards your crystal. You may channel the light through your hands (via your crown and heart chakra) into the crystal, or you can visualize the beams of light entering the crystal directly from all around it. Following are suggested energy sources, however, as always, allow your intuition to be your guide. Lightning: Positive ions have been scientifically proven to have a deleterious effect on us and our environment. Positive ions encourage the growth of bacteria and mold, disturb brain waves, and contribute to deteriorating health. The negative ion, however, is beneficial to our health. Negative ions are generated by candles, a natural wood fire in the fireplace, the smoke of sacred herbs (sage and cedar), the ocean and large healthy bodies of water in motion (such as the Great Lakes), deciduous and coniferous forests, and electrical storms. Next time your weather offers you lightening, take your crystals outdoors and set them out in the rain for a lightening bath! As crystals absorb and transform energies to infuse light and defuse negativity, their energy levels may be depleted. Recharge your crystals, gemstones and minerals with fresh energy from a “vertical” source to replenish and restore their light matrix. Sunlight: An hour or more of sunlight will charge most crystals. Sunlight is terrific for clear quartz. After a sunbath on your windowsill, your clear quartz crystals will be noticeably brighter. Dark, opaque stones like black tourmaline and obsidian can also be recharged by this method. This is an excellent technique for quickly energizing personal stones. Moonlight: Moonlight is a gentle and penetrating method for recharging your stones. The light of the full moon is desirable, being brightest, but the light of any phase will serve. Amethyst, rose quartz, citrine, smoky quartz, moonstone, calcite, celestite, kunzite, aquamarine, and other light or pastel colored stones are revitalized in moonlight. This is a gentle technique for regenerating personal stones overnight. Quartz Cluster: Clusters of quartz crystals are known for cleansing and recharging themselves. I have cleansed mine, however, and ended up with some pretty murky water afterwards! Given that the cluster you’ve chosen as your recharging cluster is clean and charged itself, clusters are terrific for recharging other crystals. To do so, simply rest the crystal on top of the cluster for 24 hours. If you’re worried about chips & scratches, put the crystal in a pouch or wrap it in a bit of natural fabric such as silk or cotton. Quartz Tabby: Large tabular quartz crystals are renown for charging other stones. A quartz tabby is an ideal healing companion providing a place to rest stones between applications in a single healing session. If you have a large tabular quartz crystal, rest your crystal on top of it for the length of time you sense appropriate to be recharged. Be sure to give your tabby regular care too! Amethyst Cluster or Cave: This is probably one of the most subtle of charging techniques. Allow time for this method and engage your intuition for guidance. Try combining this technique with moonlight! Crystal Layout: Combine this method with any of the above methods for recharging crystals. This method may also be used while cleansing crystals. Arrange several single and double-terminated clear quartz crystals around the cluster, tabby (or bowl) in which your crystal is being recharged (or cleansed), or around the crystal itself.For example, arrange the crystals according to the four directions, east, south, west, north, otherwise known as the medicine shield. The crystals will channel fresh energy to recharge the crystal in the center. If you want to charge your crystal with a certain vibration, for example serenity or love, add crystals to the layout that foster that resonance, such as aquamarine, celestite, blue chalcedony, chrysoprase, rhodochrosite and rose quartz.You may also tune your crystals in harmony with the resonance of a tuning fork, bell or bowl or anoint them with essential oils. The Crystal Layout method is enhanced by sunlight and moonlight. 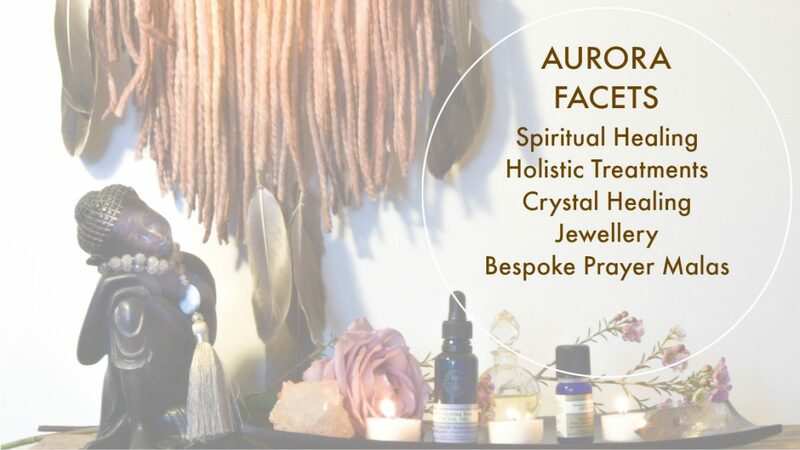 Welcome to my portfolio of bespoke handmade crystal healing jewellery & prayer malas. For your own custom piece please use the contact form link below, or pop by my Etsy to see what is for sale.